Friends leave their marks on our hearts, so why not leave some on your skin with friendship tattoo designs. There's an old saying that people come into your life for a day, a reason or a season. Whether or not a friendship withstands the test of time, each one changes you in some fundamental way. Perhaps you're left with a different perspective on life, or maybe you've learned the deeper nature of friendship and how to tell a false friend from a true one. Whatever the case may be, if you want to mark the moment in your life, friendship tattoo designs can help you do it. Perhaps you've been lucky enough to enjoy many strong friendships in your life. If so, maybe you'd rather pay general tribute to the concept of friendship without being specific about individual friendships. Here are a few design ideas you can build on. Matching tattoos are a subtle way for you and your friends to celebrate your relationships. It doesn't matter which design you choose as long as it has meaning for everyone involved. Get matching butterflies or identical geometric bracelets. There are no limits to the shared designs you might choose. Interlocking hands are a great symbol for friendship. 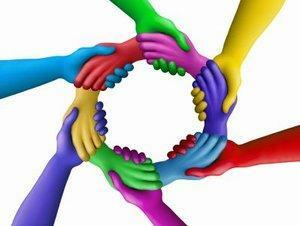 You can use just two hands for one relationship or use multiple interlocking hands to signify a group of friends. This is another great idea for matching tattoos shared by a group of friends. 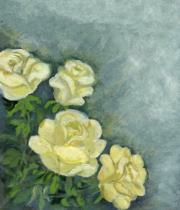 Yellow roses stand for friendship in the language of flowers. A single long-stemmed yellow rose underlined by the word "friendship" or a simple phrase implying it can make a very elegant tattoo that speaks to the value of these relationships. Celtic knots are everlasting because they have no beginning or end. This design can make a strong statement about the value of Platonic relationships, especially if two or more friends get matching designs. Claddaghs also celebrate the concepts of love, loyalty and friendship. 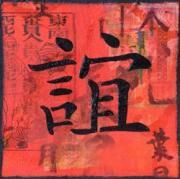 Friendship Kanji: Japanese Kanji symbols make some incredible tattoos. While there is a basic symbol that represents friendship, you can choose from several scripts to better suit your personal style. A standard block script kanji is beautiful, yet has a slightly masculine feel. In contrast, a cursive script is decidedly more feminine. There is also a semi-cursive script that strikes a nice balance between the two extremes. Commemorating specific friendships can be a bit risky in this ever changing world, but if you look at a certain relationship as a life lesson, you can still value your ink even if that person is no longer in your life. Best Friends Forever isn't just a slogan for teenage girls. If you're still close to someone you've known for many years, maybe it's time to celebrate that relationship with permanent body art. Friendship bracelets are usually made from embroidery twine, but who says you can't have one inked as a wrist or ankle tattoo? As always, friendship bracelets are meant to be shared, so encourage your closest friend to accompany you to the tattoo shop and get matching tats. It can be a great bonding experience. Two halves of a whole is another concept that can bind friends in shared body art. For example, you and your best friend my consider each wearing one half of the yin yang symbol as a statement about how your personalities complete each other. Other related designs might include a lock and a key, two halves of a broken cookie or even a jar of peanut butter and a chocolate bar. Just put your heads together and use your imagination. A tribute to a lost friend might help express your memories of someone special who has passed away. There's no right or wrong way to create this type of design. Choose a symbol that represents how you felt about the relationship or use a favorite photograph to help your artist create a portrait of your friend. Add your friend's name, and include the date of death if you choose to. What matters is that the design has personal meaning to you. Of course, friendship tattoo designs can be even more abstract. If you have a friend who has expressed a desire to get a tattoo, but is still procrastinating, you might offer to go with him or her to the parlor and pay for the tattoo as a gift. One thing is certain, the two of you will never forget this special, shared experience, every time you look at that piece of body art.